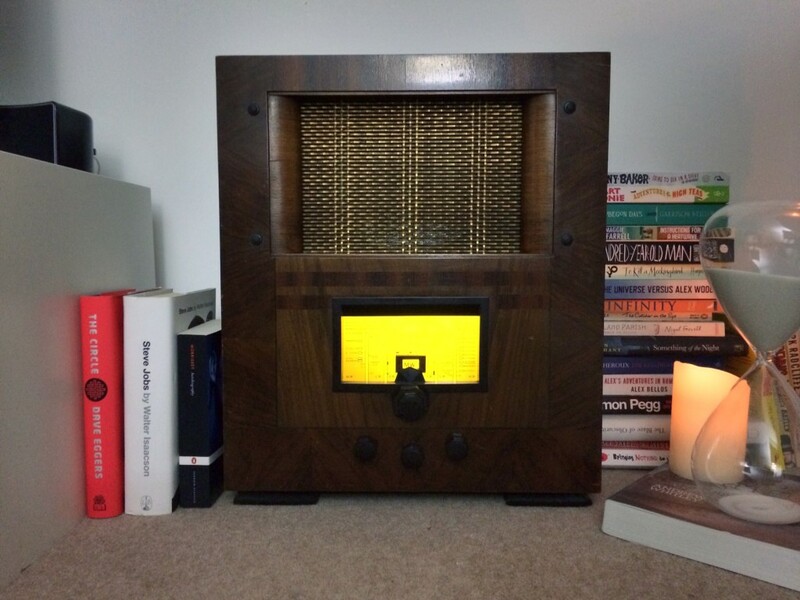 In the corner of our apartment we have an old 1940’s radio, picked up a few years ago the original valves had already been removed, leaving it modified with a then transistor radio. As such it made the perfect project to remodify and bring up to date via a mix of an embedded blue tooth speaker (in our case a Bose SoundLink) and a Philips Hue for the internal lighting. While in nature quite a basic modification, it does give an old radio case a new lease of life. The link to the Philips Hue for the internal lighting opens up a number of possibilities, along with the options to link the audio output to any number of rules via IFTTT.